The Matterhorn is the most recognizable peak in Switzerland, which in a country often defined by its mountain summits, is no mean feat. So iconic is the jagged pyramidical mountain that it has worked its way into Disneyland, and has been immortalized in the logo of one of the world’s biggest chocolate brands (yeah, the giant chocolate bar you buy at the airport). The Matterhorn truly deserves its celebrity status. It’s incredibly tall (14,692 feet), ruggedly good looking, and stands as the ultimate challenge for even the most experienced rock climbers. 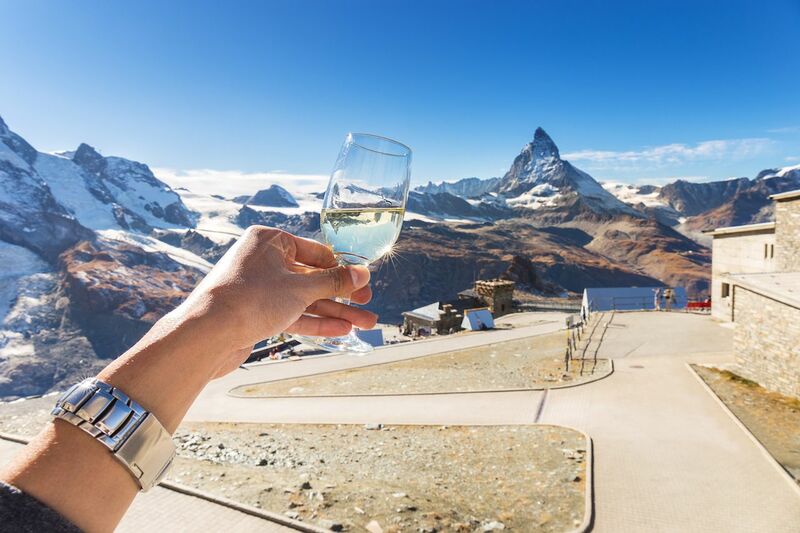 There are several ways to appreciate the mountain, whether you’re looking to scale its slopes, view it from the air, or just gawk at it over a glass of fine Swiss wine — take your pick from the following epic ways to experience the Matterhorn. 1. Hike the nearby slopes. The temptation when first laying eyes on the Matterhorn may be to get as close as possible to its base. Or, if you’re a truly intrepid explorer, to reach its summit. But you’ll get some of the best views if you create some distance between you and the mountain. Fortunately, there are dozens of hiking trails across the valley that cater to all fitness levels, and offer incredible views. At the top of the list are the trails that take you to the freshwater lakes Stellisee and Riffelsee, which offer incredible reflections of the mountain when timed correctly. But there are many other opportunities around the region that offer equally impressive views and photo opportunities of the Matterhorn. The official Zermatt Tourism website lists the best of these. 2. Take a scenic helicopter flight. 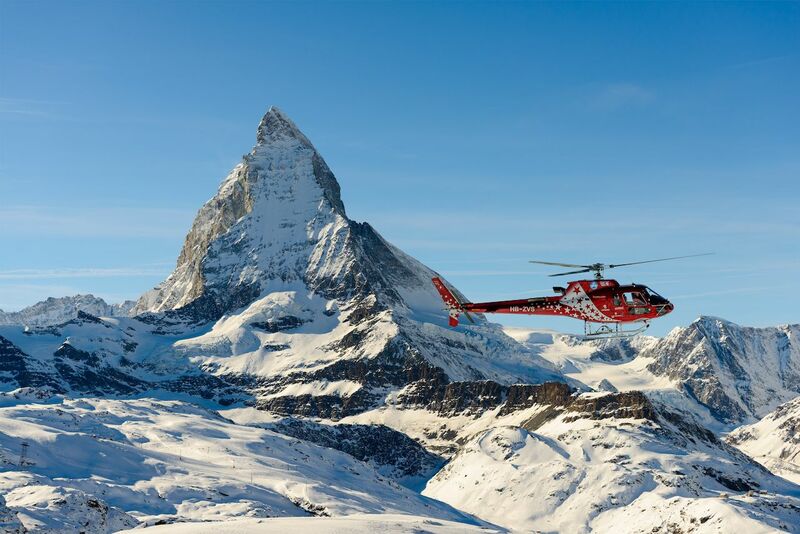 A scenic helicopter flight around the Matterhorn is the most lavish and exhilarating way to see the peak in a new light. Helicopter company Air Zermatt will whisk you up among the clouds for remarkable scenic flights throughout the year. Most scenic helicopter flights take you up to the Unterrothorn, where you’re free to walk around and then descend either by cable car or on one of several scenic hiking trails. The flights come in varying lengths according to your budget, from 20 to 40 minutes, and all include an aperitif and lunch. 3. Ride the cable car to glacier paradise. 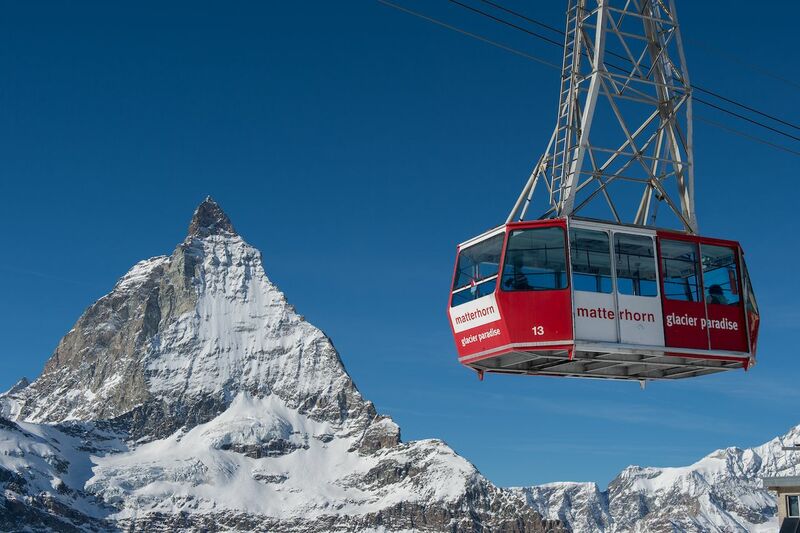 If you don’t quite have the budget for a scenic helicopter flight, but want to see the peak from high up, hop aboard the series of cable cars required to reach the highest cable car station of its kind in Europe: the Matterhorn glacier paradise. The final reaches of the ride, when you sail silently across vast glaciers toward a tiny hole in the mountain ahead, will have you in awe. If the weather is playing along, once you emerge from the tunnel bored deep into the mountain, you’ll be treated to views of the highest mountains in Switzerland, France, and Italy. On a clear day you can see as far as the Mediterranean, but it’s the panoramic views of the Matterhorn just across the slopes that’ll likely capture your attention. 4. Hop on the train. Zermatt is a car-free town, which means that the only way to reach it is by train. 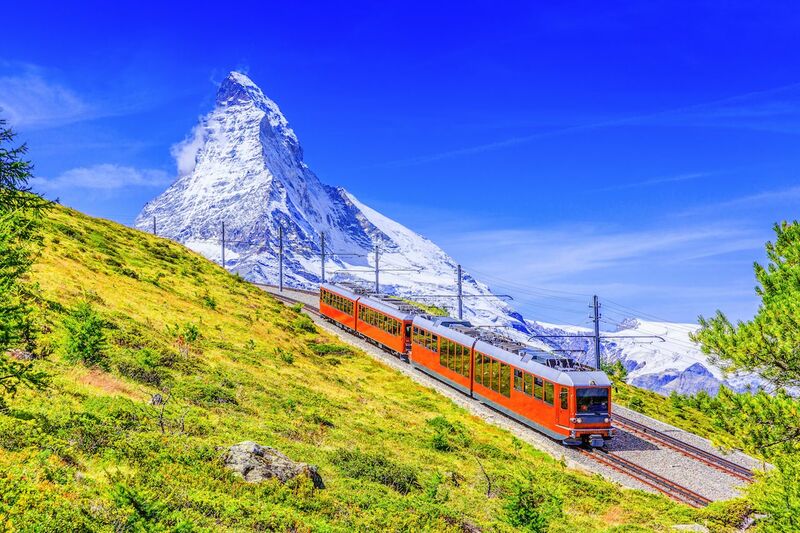 Although the main line in and out of the town is the starting point for the famous Glacier Express train, if you’re looking for the ultimate Matterhorn rail experience you’re better off heading for the Gornergrat Bahn. This mountainside train offers panoramic views of the Matterhorn as it trudges up the steep slopes of the Gornergrat, and it’s open year round. There’s an incredible viewing platform at the 10,290-foot high summit, and several walks that deliver unparalleled views of Zermatt, the Matterhorn, and the surrounding scenery. 5. Dine out with a view. If you want to see the peak without putting in too much hard work, you also have the option to pull up a chair and soak up the epic views with a glass of bubbly. There are stunning mountain restaurants dotted across the slopes, which range from fine dining to quaint mountain huts. Many of these offer panoramic views of the Matterhorn and are open year-round — with outdoor seating in summer, and warm indoor options for when the winter weather closes in. Vis-à-vis may be the most exclusive of these with a famous four-course dinner; Alphitta offers incredible views and traditional alpine fare; and Blatten, founded in the 1850s, serves up a wide selection of regional and Italian dishes, both indoors and on their beautiful outdoor terrace. 6. Ski and snowboard around its base. Although Theodul Glacier offers year-round skiing, even in the middle of summer. But if you want to experience this winter paradise at its best, you’re better off returning in January and February. 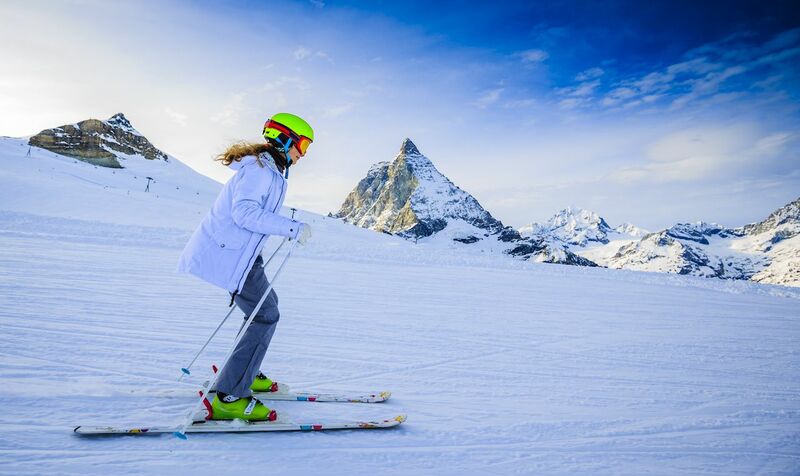 Even the most widely-skied travelers consider the slopes around Zermatt to be some of the best, and with 52 lifts, 145 runs, more than 360 acres of skiable terrain, excellent snow, and constantly shifting views of the snow-covered Matterhorn, it’s unlikely you’ll ever tire of returning to one of the world’s most beautiful and lavish ski towns. 7. Climb to its summit. 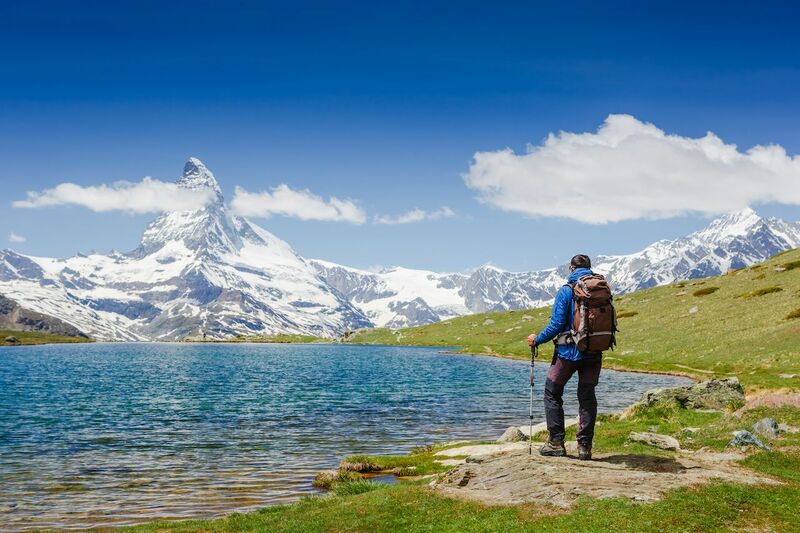 If you want to actually reach the summit of the Matterhorn, you’ll have to commit to some advance planning and a fairly stringent fitness and acclimatization regime. Reaching the summit of the Matterhorn is no walk in the park, and the mountain has claimed many lives. As such, it’s important to treat it with the respect it deserves, and to enlist the services of an experienced guide who will help with altitude, route finding, and on-mountain support. Still, it’s an achievement within reach of most sure-footed climbers, and an experience that will stay with you for a very long time. 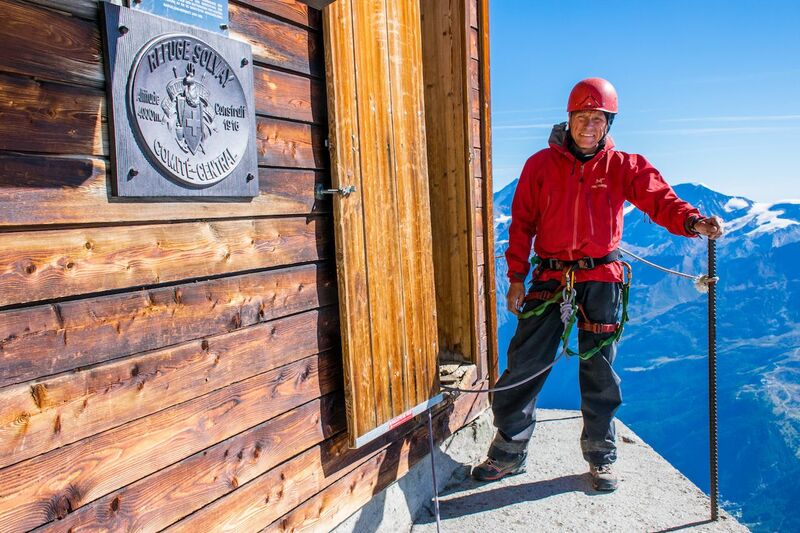 Chamonix Experience and Mountain Spirit Guides both lead climbing trips up the Matterhorn.